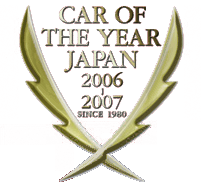 Automobile selects an annual list of All-Stars as their Car of the Year equivalent award. The Car and Driver Supercar Challenge is an annual event hosted by Car and Driver where the magazine gives its John Lingenfelter Memorial Trophy. The Motor Trend Car of the Year is an annual award given by Motor Trend magazine to recognize the best new or significantly refreshed car in a given model year. The Chevrolet Corvette (C2) (C2 for Second Generation), also known as the Corvette Stingray, is a sports car produced by the Chevrolet division of General Motors for the 1963 to 1967 model years.